Go deeper into the destinations you visit by visiting one of these 10 incredible festivals around the Mediterranean. This festival is oldest continually celebrated date on the Venetian calendar. It takes place on the 3rd weekend of July. The festival first began as a celebration at the end of a plague epidemic in 1576 when the city commissioned a church to be built on the Giudecca by Andrea Palladio. Each July a pontoon bridge is built across the canal which separates the Giudecca from the main centre of Venice, so that people can make the pilgrimage to the church. The religious part of this festival falls on a Sunday but the festivities of the Saturday evening are what makes this celebration spectacular. Boats of every size adorned in decorations gather on the lagoon between St Mark’s, San Giorgio, the Punta della Dogana and the Giudecca. Each of the boats holds merry-makers supplied with food and drink who wait with anticipation for an impressive fireworks display to culminate the evening. The summer festival in Dubrovnik is a celebration of the fine arts in the city and across Croatia, in fact it’s the oldest cultural institution in Croatia and in 2016 it will celebrate its 67th year. The festival is of significant importance for showcasing the theatrical and musical talents of Dubrovnik and Croatia at large. The festival aims to become one of the 5 most important cultural events in Europe by 2020 and if the current level of performances are anything to go by, we anticipate they will certainly reach that target with ease. Events are held at locations throughout the city, from the cathedral to the main entrance of the town walls that have become one of the most popular attractions for visitors. Those who visit Dubrovnik during the festival can expect to see performances of ballet, music, folklore, independent films, exhibitions and drama. 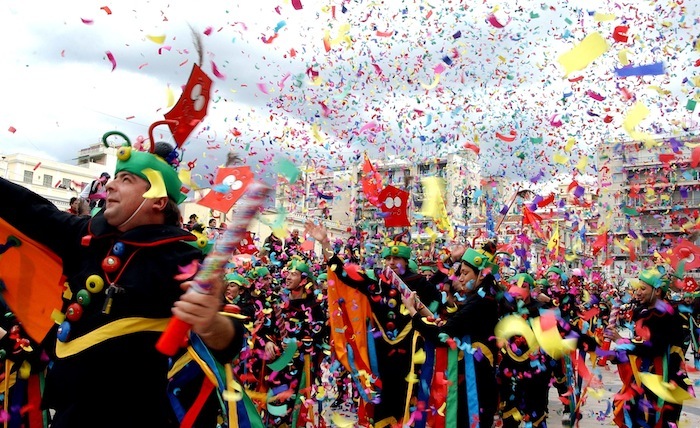 Held every summer, the Kotor Carnival is an smorgasboard of colours, entertainment, cuisine and merriment. Carnival groups from Kotor, further afield in Montenegro and overseas come together to parade through the streets, dazzling onlookers with their spectacular costumes and floats. One of the craziest nights on the calendar, Nit de Foc is one of the biggest parties in Mallorca. It’s celebrated on the eve of Sant Joan Fiesta (the Feast of St John) and involves street parties, bonfires, fireworks, music, angel and demon costumes and the infamous fire run or ‘correfoc’ where ‘devils’ run through the streets with fireworks and firecrackers! The celebrations eventually move on to the beach where revellers party until dawn. This is definitely not one for the faint-hearted! Picigin is a sport played in shallow water where players must keep a small ball from touching the water. The game was founded in Split, hence it being the destination for the World Championships. Originally played by a group of Croatian students in 1908, the game requires a group of players to stand around in a circle, using their hands to bat the ball, keeping it away from the surface of the water – it’s somewhat similar to a net-less game of volleyball. The championship has been running since 2005 and attending is an authentic Croatian experience and something a bit different from typical cultural events. The Baths at Caracalla were a third-century public bathing complex and were once a spectacle to behold as the second largest baths in Rome. Featuring marble decor, ornate ceiling and wall patterns and high quality sculptures, the baths were a place where people would congregate for leisure. The baths were used up until the 19th century and today they stand as a series of striking ruins, up to 90ft in height, which serve as the backdrop for Rome’s summer opera season. The venue welcomes a variety of famous performances from Madame Butterfly and the Barber of Seville to popular modern day vocalists including Lionel Ritchie and Neil Young. 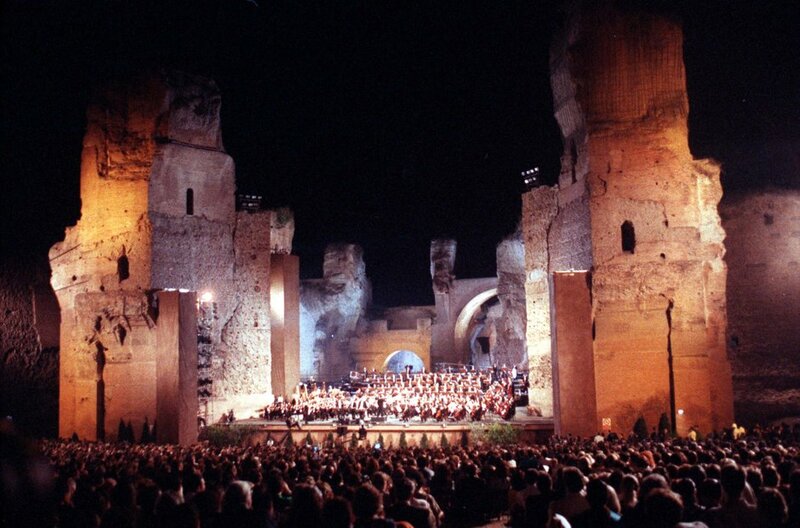 Watching a performance at the baths is a once in a lifetime opportunity to feel almost part of ancient Rome and especially as the sun sets and the ruins are lit up, the effect is both haunting and memorable. 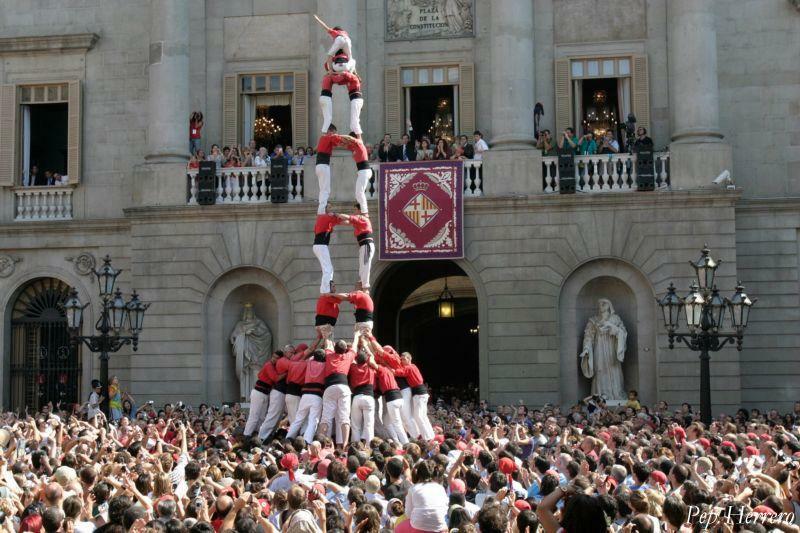 Over the course of four days around the 24th September, some 600 different and unique events take place to celebrate Barcelona’s co-patron saint, The Virgin of Mercy. Everything from swimming races across the harbour to free concerts are on offer to get involved with, making it a great festival option for families. There’s lots of noise and fireworks and a reenactment of mischievous devils being banished from the city. As an added bonus, there’s also free entry to the city’s museums on the 24th, giving you the ultimate blend of history, culture and entertainment during your visit to the city. This event celebrates the San Ranieri, the patron saint of Pisa and the protector of all travellers – making it an apt choice of festival for visitors to attend. Saint Rainerius was born in 1118 to a wealthy family and encouraged from a young age to pursue a spiritual way of life. Ranieri confessed his sins and cried so many tears through his confession that he became blind, however after a prodigy he began to see again. One day, Ranieri had a vision in which an eagle carrying a light told him to ‘show the light to people (like him) when in darkness’. Since 1688, the saint has been celebrated by a candlelight festival where lights are placed along Pisa’s bridges, windows and door frames. The display lights up the city in a beautiful and magical display. Apokries is a carnival celebration in Greece. The word Apokries means ‘no more meat’ which is associated with the Orthodox tradition of a three week preparation period before the 40 day lent fast that precedes Easter. Apokries has been celebrated since ancient times when the people worshipped Dionysos God of Feast and Wine. Today the celebrations are packed with people of all ages who dress for the occasion in colourful costumes. There are parades, music, dancing and each neighbourhood organises its own feast. Paper confetti and paper kites have also become a big part of Apokries and it’s not unusual to see bursts of coloured paper being scattered or swooping kites flying through the air. Part of the tradition of the three week celebration is to have a different feast each week, the first week is ‘Protofoni’ the second is ‘Kreatini’ or ‘meat-filled’ (although it’s only allowed to eat meat on a Wednesday or Friday) and the third feast is called Tirini or ‘cheese filled’ – as the name suggest plenty of cheese is eaten along with pasta too. If you’re someone who enjoys Christmas Markets then you might find this one in Rome particularly interesting. It takes place from December until around the 5th January and it’s based on Italian folklore and a woman called Befana who delivers gifts to children on Ephiphany Eve. If children are good they receive shoes filled with candy and presents, but if they are bad then instead they get coal. In poorer parts of Italy, children are given a stick rather than a lump of coal, being a good housekeeper many say that Befana will sweep the floor before she leaves which is why many dolls and puppets of Befana show her holding a broom made from twigs. In the days leading up to the 5th January there is a Christmas market in the piazza with stalls selling the Befana dolls and puppets, people in fancy dress as Befana as well as more typical events like food and drink stalls and traditional Christmas gifts.